Sometimes you need to get away. Other times (read: always) little things called loans/bills/general expenses get in the way, and a vacation right where you are is the move. But which city's best for never leaving? 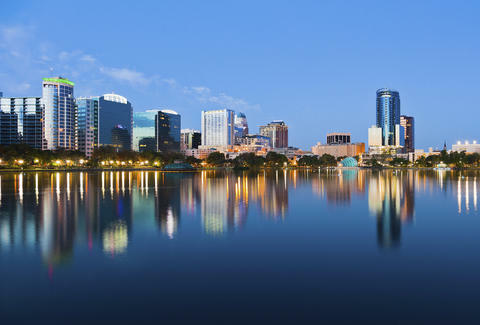 Well, WalletHub has released the 2015 ranking of America's best cities for staycations, and this year the place to be (and stay) is Orlando, FL, because why would you ever want to go anywhere other than Disney World? The study takes into account individual rankings of recreational activities, food & entertainment, and rest & relaxation. Buffalo, NY took the top spot on last year's list, but (perhaps more logically) it didn't even crack the top 10 this year. Last year was a weird year. Atlanta, GA and Cincinnati, OH take spots no. 2 and no. 3, respectively. See, it's not all about living in places like New York and San Francisco. The rest of America has plenty to offer. Lucy Meilus is a staff writer for Thrillist. She has never been to Disney World, despite repeated pleas. Follow her on Twitter at @Lucymeilus and send news tips to news@thrillist.com.